It has been a while since I discovered reasonably priced dresses for a rockabilly wedding, but today I found two that I think are adorable and available in larger sizes too! This dress features its bow on the front and tea length design.This dress is available in white,ivory, silver,pink,champagne,and available from size 2 to size 28. FYI- Thanks to a comment from one of my readers, I realized that I had already blogged about this dress in March and this is actually a Chinese knock-off of a Dolly Couture Dress. The picture was also taken directly from DC's site and is not a picture of the actual product from the Milanoo website. I am leaving the info up as the dress is no longer being sold on DC, but I am not directly endorsing the site and warn that the buyer beware! I think this dress is too cute! Pink is an incredibly versatile color and could be paired with many different accessory colors. According to the site, all dresses are made to order and the sizes go up to 18W (45" bust). Free shipping too. 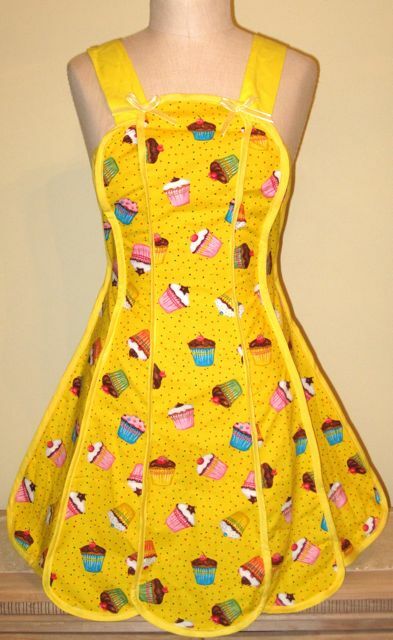 I adore these aprons! Lucky for all of us, The Apron Goddesses blog is having a giveaway for a hostess apron of your choice from Cupcake Provocateur. Hurry, hurry or I am sure to win it! Hold on to your hats! I have gotten addicted to making teacup pincushions. I made one for an apron swap I am in right now and it was so fun I made more. A LOT more. So I am going to start selling them in my online Tart Deco store on etsy. This teacup is especially wonderful because it has 3 claw feet. 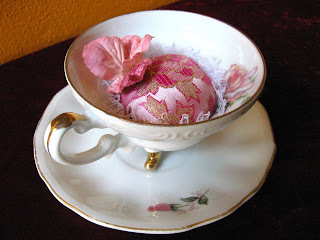 I made the cushion smaller to see the flower detail inside the rim of the cup. The pink flower is included, but not attached. 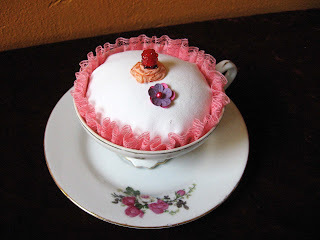 A candy-colored cushion with handmade ribbon flower and glass raspberry affixed on top. Comes with decorative paper flowers, not attached. There is a lovely ornamental pedestal bottom on the teacup. This is my favorite so far and the most unusual. 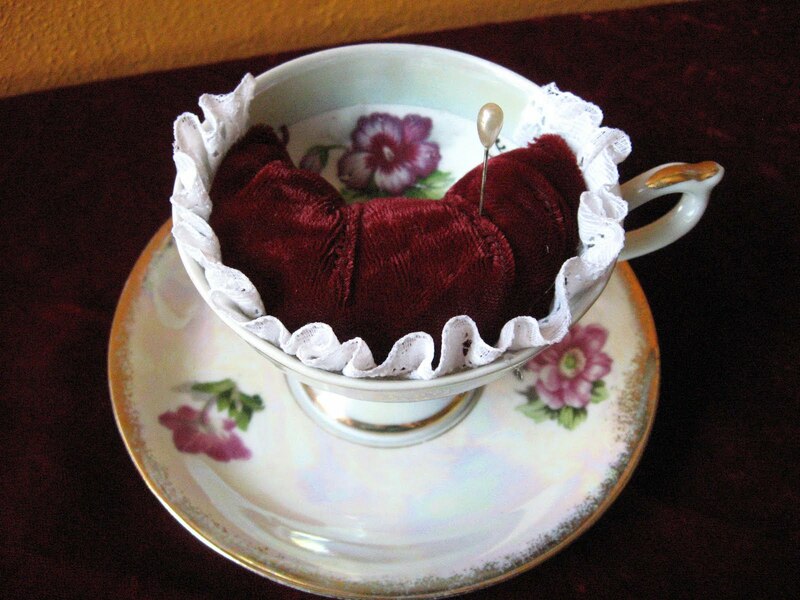 A half-moon pin cushion of red velvet and vintage lace allows a flower detail to peek out from the inside of this bone china teacup. The cup also has a pedestal bottom that fits gently into the matching saucer. All the pincushions come with matching saucers that are not attached, but can be at your request. To lay claim to one of the above lovelies visit my Tart Deco etsy shop or click on the title of each pincusion for a direct link. 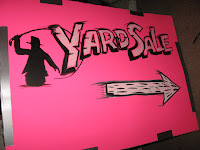 Labels: sewing and clothing care, Tart Deco, vintage repurposing, What's on Sale? I am always looking for vintage books on various topics, especially sewing and makeup & hair, but to find them in good condition or at a decent price isn't always possible. Lucky for me, there are publishers that are reprinting books from the 20s-60s, as well as other decades before and after. Labels: 20s 30s Flapper, 40s WWII, 50s Rockabilly, fashion, Vintage Library, What's on Sale? I love BurdaStyle.com, don't you? I have found the cutest free sewing patterns on the site and this latest is no exception. 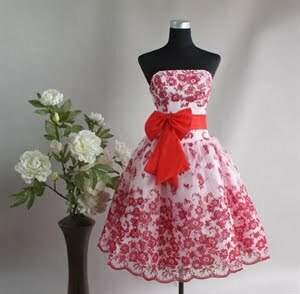 It is an adorable rockabilly sun dress with a two-tiered skirt. LOVE it! It is in a smaller size, but a quick trip to my post on resizing patterns will help with that. The dress also has shirring throughout the back for a little extra give as well. FYI- You have to sign up for a free BurdaStyle account before you can download patterns, but it only takes a minute and you don't get spammed. Rock n' Roll Bride just posted a fun Rockabilly wedding, complete with pink Cadillac and Whirling Turban dress. 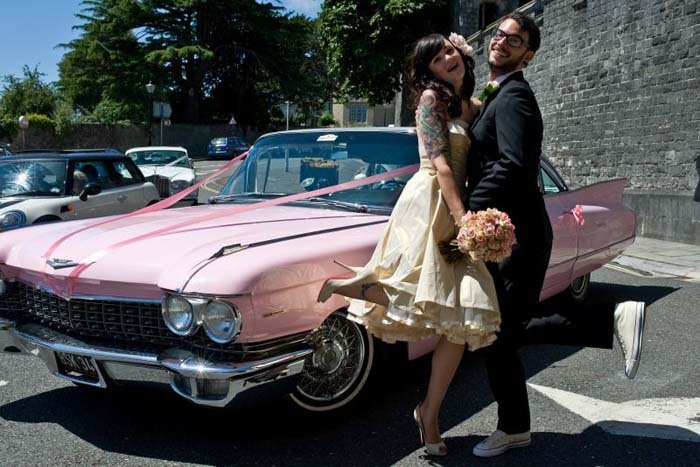 I love the bride's gold bolero and groom's glasses. It looked like a nice relaxing day with a lot of class. I can't believe it has been more than a week since my last post! I was getting ready for a rummage sale and it kind of took over. Unfortunately it was a lot of work for very little pay back. Only $43 (*sigh*). 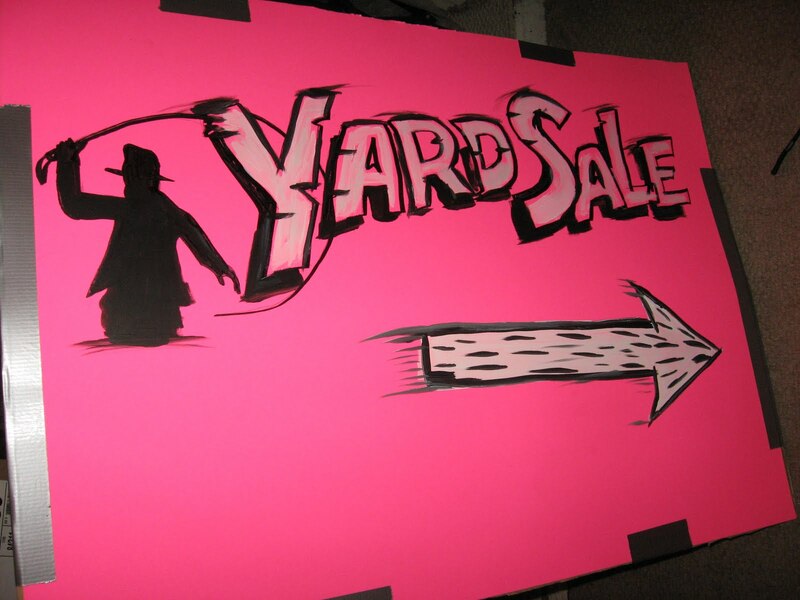 My husband even made some cute Indiana Jones themed signs. I had 2 whole boxes of vintage sewing and crafting items at insanely low prices and only 1 person actually looked at them! 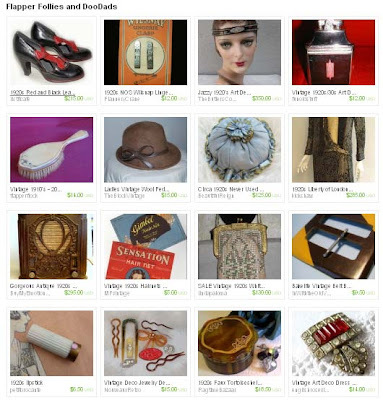 In fact, no one really seemed to be interested at all in the vintage items I had. I was hoping to sell them in the rummage sale so I didn't have to deal with taking etsy quality pictures of everything as that is sometimes a pain in my behind. One idea I had was to create a few lots of the sewing and crafting things and take some preliminary pics to post them on this blog, sort of like my blog specials a while back. Is anyone interested in that? If you are leave a comment so I can get an idea of whether it would be worth while to spend the initial time to do it or if I should go straight to etsy. Labels: sewing and clothing care, Tart Deco, What's on Sale? Labels: 20s 30s Flapper, fashion, hair, What's on Sale?